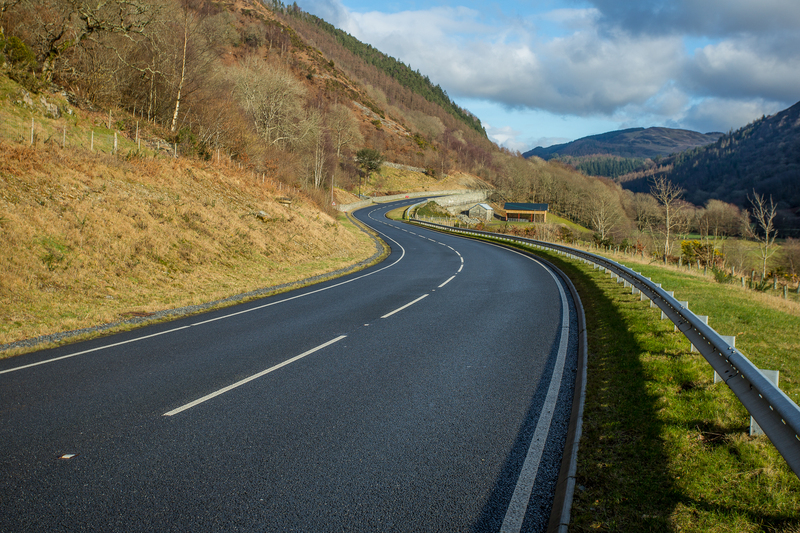 The scheme is located south of Ganllwyd on the A470 Trunk Road where, due to the inadequacy of the existing safety barriers, the southbound lane had been closed with single way working under the traffic light control. The original carriageway was narrow, with a tortuous alignment and without verges. 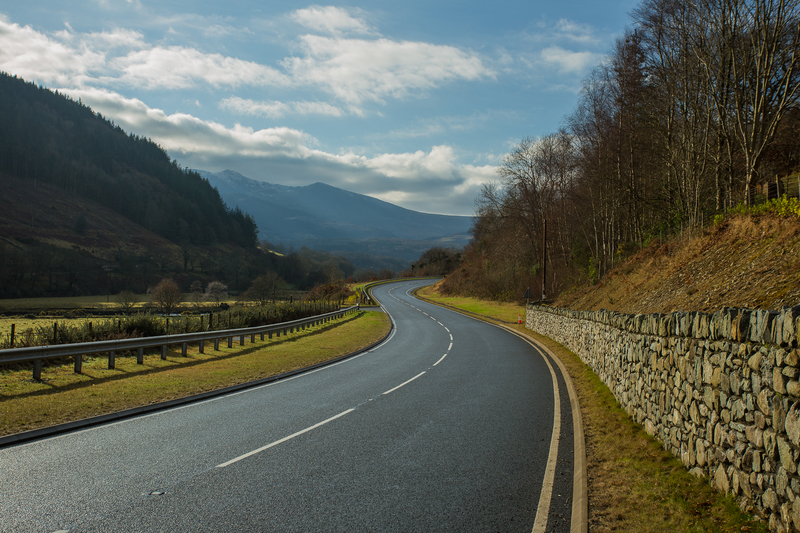 The objective of the scheme was to restore two-way traffic and enhance road safety, by construction of a new 650cm long, 7.3m wide carriageway with 0.5m minimum wide verges and a 0.2m wide hardstrip. YGC designed the scheme, prepared the Compulsory Purchase Order, Line and Side Road Orders, contract documents and supervised the construction. To minimise environmental impact the retaining walls were masonry faced as were the vehicle containment walls which sympathetically replaced normal steel road safety barriers. Much of the stone required was produced from site-won rock and processed on site to minimise importation thus contributing significantly to the scheme’s sustainability objective. The scheme was both within sites of special scientific interest and special area of conservation and adjacent to other similar SAC’s and SSSI’s. Minimising ecological and landscape impacts was a key design consideration in an area regarded as a discrete historic character unit. The area was an extensive habitat of broadleaved woodland containing deer, bats, birds, reptiles, lichens, fungi and invertebrates as well being suitable for otters. Extensive discussions were held with the conservation bodies affected including the Snowdonia National Park Authority, Dwr Cymru, Natural Resources Wales and the National Trust as landowner. Various ecological surveys were completed for the Environmental Statement and an Appropriate Assessment made. To avoid loss of mature woodland, the new road was built along the western side of the old alignment and to intergrate with the landscape. Reptile exclusion fencing and bat boxes were set up before the site clearance started and mature trees were ertained where possible and supplemented by replacement tree planting. 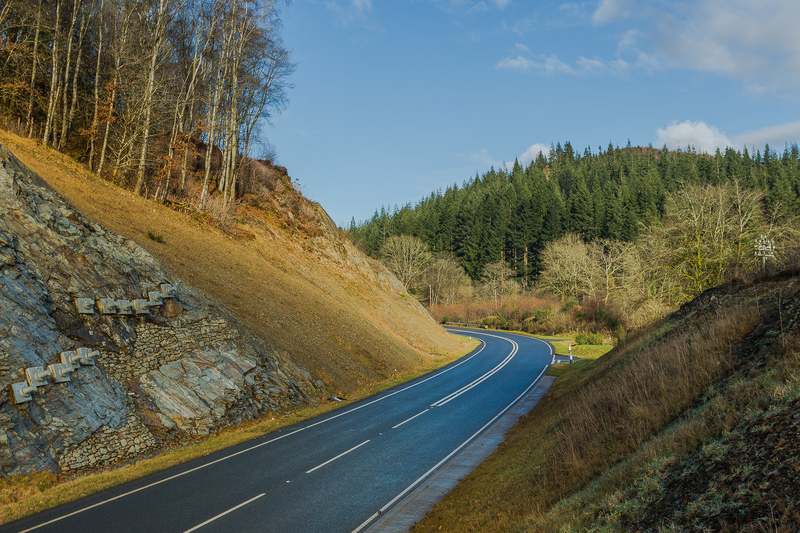 A road scheme was created which, whilst meeting the required standards integrated successfully with the surrounding landscape.